FREE Daily Planner Printable: 7 Pretty Sheets! 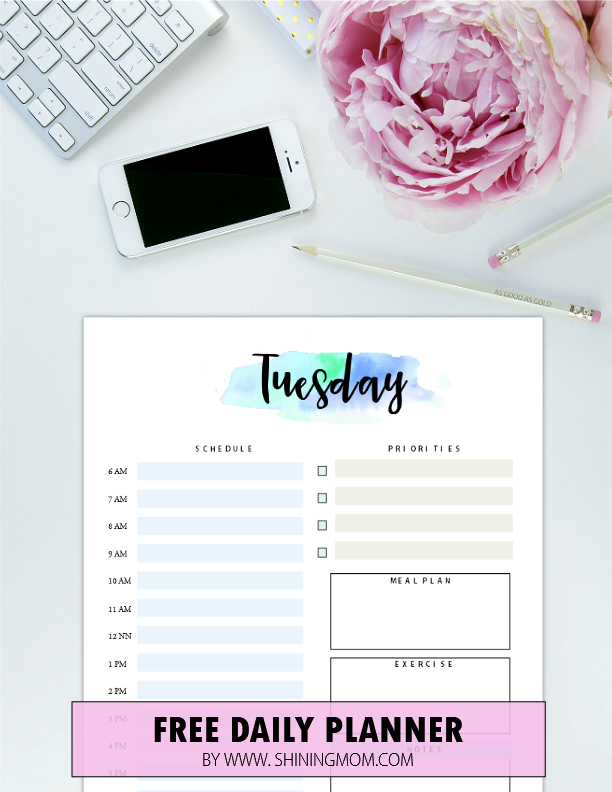 FREE Daily Planner Printable: 7 Pretty and Basic Planning Sheets! Having a hard time looking for a free daily planner printable that has a layout that can actually work for you? You might like these planners! With these, you’ll have your days sorted out– from Sunday til Saturday. These free printable daily planners have the simplest yet really functional layout. I am happy to be sharing them with you! Hi, friends! I am here once again to deliver your free goods on the most popular segment of the blog, the Happy Freebie Monday! Well, it’s no secret that we need to be organized to be more productive. While there’s a sea of daily planners available online, it’s quite hard to find a system that can actually work for you, right? Some are too complicated with so many categories that you can’t really utilize. This is the very reason why I created my own, tailored to what I need. I believe this basic layout will serve you well, too. Have a look at this beautiful free daily planner printable! If you’ve been following the blog, they you probably know by now that I am a huge fan of creating planners in time blocking layout . I love this system because it is proven and tested to work. With this free daily planner printable, you can organize your schedule for the day per hour. But you don’t have to fill tasks for every hour, really. Leave blank spaces for you to breathe and relax and just enjoy life! Make your days a little bit lighter! In addition to the Priorities section, there are also other sections that will help you streamline your day, the Meal Plan and the Exercise sections. Now there’s no more excuses for you not to stay fit and healthy! Moreover, I have also added a spot for your important notes and reminders. See? 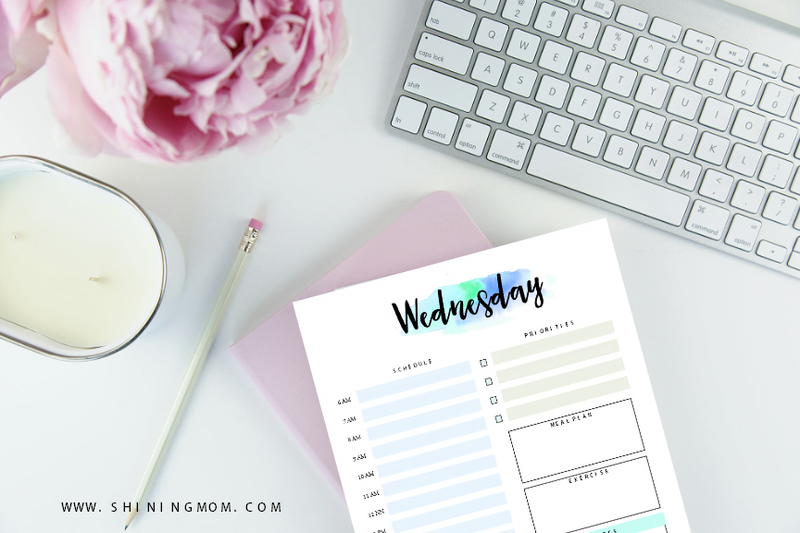 This free daily planner printable has a very basic layout that is truly functional. Ultimately, it will help you run your day blissfully! And oh, speaking of planners, did you know that I have previously released an ultimate binder for moms? 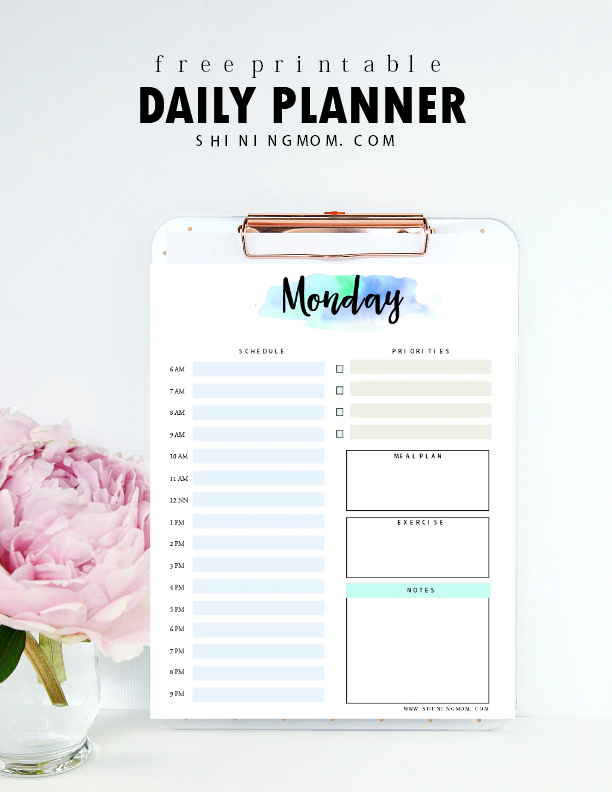 If you’re a Mama like I am looking for a system to get things organized, I highly suggest that you go HERE to reach the landing page of the new planner. It has over 70 pages to help you manage your family, home, life and finances! Convinced that this is for you? Just hop over HERE to get you free daily planner. I hope you can use it! I suggest that you do the printing of this planner on a weekly basis so you won’t get overwhelmed. I usually print mine on Saturdays to get myself ready for the week ahead. Have a great week ahead! Happy Freebie Monday! « Free Printable August 2017 Calendars: 12 Awesome Designs! Super nice! Thanks for kindly and generously sharing your talent. Thanks for finally talking about >FREE Daily Planner Printable: 7 Pretty Sheets!